A region in the northeast coast of Scotland, famed for its Angus beef, castles and rugged landscape of hills and mountains, Angus is the perfect place to go for hikers or history-lovers. Centred around Dundee, the up and coming tech city, it is flanked by the looming Grampian Mountains to its west, and a sandy white coastline to its east; whether you're hiking through ancient woodbegirt glens, visiting Arbroath Abbey or Glamis Castle, dining on a prime Angus beef steak, or just exploring the woodland and wildlife of the House of Dun, you will feel enchanted by the region's untamed landscape and savage history. Find out more by checking out our collection of the best places to stay in Angus. Visit Arbroath Abbey, the site of the Declaration of Arbroath in 1320, when Scottish independence from England was asserted. Climb the Grampian Mountains, from Glas Maol to Or Driesh! Check out the House of Dun and Montrose Basin Nature Reserve, and walk among wildlife and woodland. Explore the gorgeous 16th century Forter Castle! Dine on delectable Angus beef steaks. Enjoy a day at the beach on Angus' stunning sandy white coastline! Untamed and steeped in history, Angus is the perfect place for hikers and history lovers alike. Find out more by checking out our collection of the best places to stay in Angus. R&R Boutique + Breakfast: a luxurious B&B overlooking the gorgeous coastline, offering chic and boutique rooms with their own hot tub and upcycled glamping pod. Enjoy the cedarwood sauna, afternoon tea and sunny afternoons spent relaxing in the manicured garden! A perfect rural hideaway for couples on a romantic break. 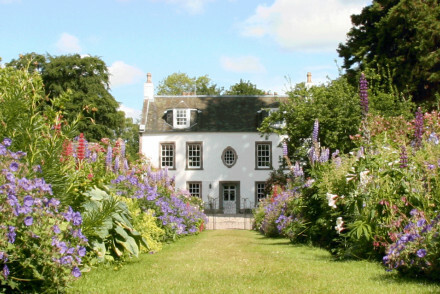 Newtonmill House: a picturesque 18th century home of a laird, offering charming and traditionally-furnished rooms with chintzy fabrics and artworks adorned on the walls. Enjoy the perfumed scent of the garden, and sumtpous dishes from the Cordon Bleu-trained owner. Fly to Glasgow International Airport; get a train to Dundee, (1.3 hours) from where you can get a taxi or bus to your destination. The best time to go is during the summer months, when the temperature ranges between 10 and 21 degrees. Beautiful 18th century Laird's house ideally situated for exploring the little known area of Angus. Two charming, immaculate bedrooms with chintzy, traditional interiors. A glorious garden and delicious food from the Cordon Bleu trained owner. A hidden gem. 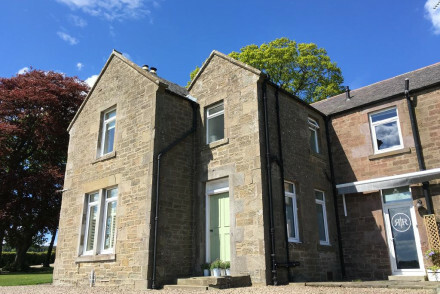 Luxurious farmhouse B&B, with wonderful views of the Angus coastline. Just two boutique rooms both with pivate hot tubs plus a fantastic upcycled glamping pod. Guests will love the cedar-wood sauna and the gardens overlooking the stunning countryside and coastline. Afternoon tea is a must!